It's time for your game hunters to get their game on! Share with them an event that will allow them to do just that. 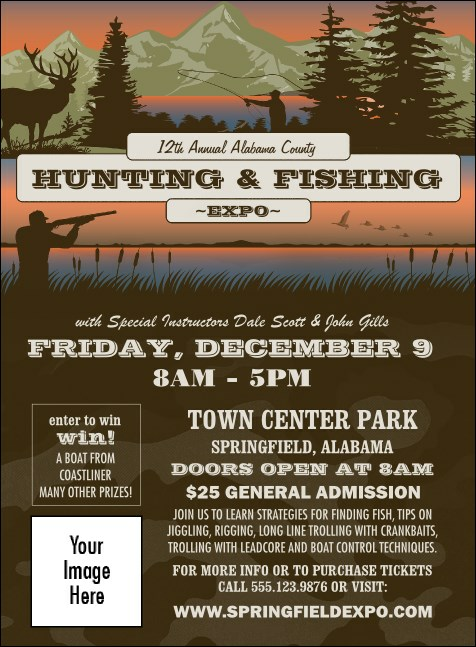 The Fishing and Hunting Expo Green Camo Invitation features images of sportsmen in the great outdoors. Each has space for your event details, so you can get the word out with an invite that is perfectly designed for your purpose. Browse our gallery and find the right matching materials at TicketPrinting.com.